With housing prices at a record high, many British Columbians have called for the government to take action against increasing prices, demanding that the housing market needs to be affordable for low and moderate-income earners. In Victoria alone, the MLS® price average was $650,000 for 2017, which has made it difficult for prospective homebuyers to enter into the market. The British Columbia Real Estate Association has released a market intelligence report that responds to these concerns and addresses the effects of low housing prices on BC’s economy. 1. A loss in the average homeowner’s equity. 2. Slips in economic growth. 3. Job loss and increased unemployment rates. 5. A decrease in retail sales. 6. A substantial financial loss to the economy. Should housing prices rapidly decrease, we can speculate on how this will affect homeowners, future homeowners, and the economy. For example, retiring and down-sizing homeowners may be discouraged to sell their property as the equity of their property will have decreased and the resale value may not be comparable to the price for which they bought it. Also, with an influx of affordable housing, rental property owners may find it difficult to find renters, and they may feel the necessity of selling in a low-priced housing market to recuperate lost income. Resulting from a lower demand for affordable housing, the home construction industry will be affected as housing production will slow and there may be fewer housing starts. Additionally, as interest rates continue to increase, new homeowners may find it difficult to afford their mortgage payments, regardless of the housing prices. Housing market predictions, however, are much like weather forecasts – they are unpredictable and ever-changing! And if done correctly, a slow price drop may not hurt the economy or current and future homeowners. 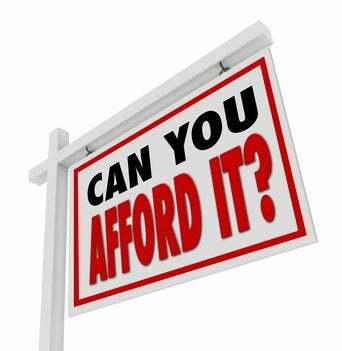 For more information on how a low price housing market may affect you, contact Cheryl Barnes!